A quick obituary – I bought this particular pair of Brooks Beasts on August 25th at the Westchester Road Runner in White Plains, New York. They are being retired with 396.34 miles on them – miles that include a half marathon and a Ragnar Relay among seven total races. My current 5K, 10K, 15K, 10 mile, and half marathon PRs were run in these shoes. And they are stylish and comfortable, to boot. Thank you, Beasts – you’ve been a great pair of shoes. While it could be easy to go a bit overboard here – these are, after all, just shoes – I found the poem below a couple of years ago and I think it does a really good job of summing up these feelings. We don’t take our shoes lightly, do we? How do you retire your shoes? haha- great post! 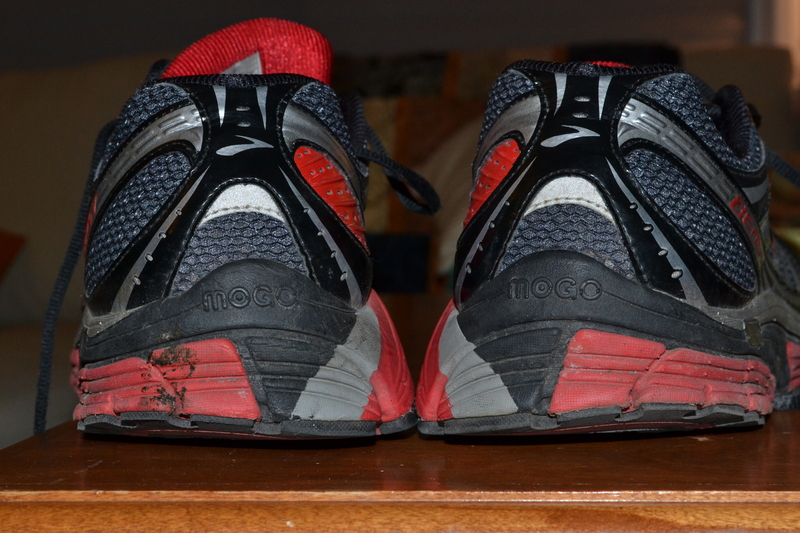 I recently had to throw away a pair of much loved and very well worn shoes…sad times.